With the winter ski season now well underway, we wanted to remind you that ski operator SNO is still offering an exclusive 5% discount to Shopper Points readers. Now the Christmas school holidays are over, many parents are looking ahead to the February and Easter breaks. 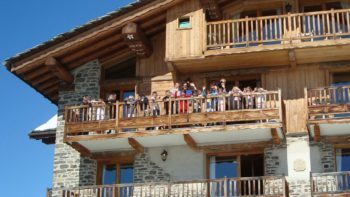 The SNO website has 1000’s of family-friendly ski holidays, featuring ski chalets with on-site childcare (like the Chalet Arnica, pictured below) and hotels with games rooms and ski schools. Shopper Points and Head for Points readers can claim the 5% off the holiday brochure price using the code SNOHFP. All SNO family deals can be found here and the number to call to claim your 5% discount and book is 020 7770 6888. Nectar is currently running a very specific prize draw. If you buy certain products before 5th February, you will be entered into a prize draw and could win 10,000 Nectar points. You will be entered automatically when buying these items and swiping your Nectar card ordering online with your Nectar card linked to your account. You can only enter once, even if you buy more than one product. There is a total of 20 prizes of 10,000 Nectar points each.